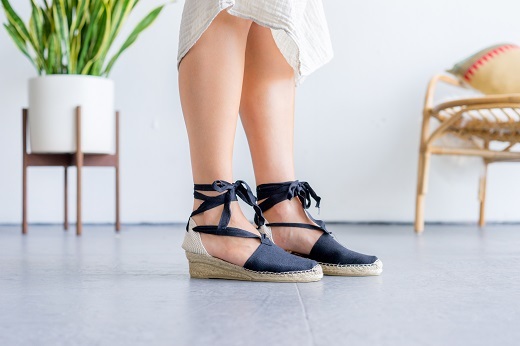 Our Mediterranean espadrilles in Black are a go-to style, with a classic espadrille wedge and ankle laces. This style looks great with skinny pants or jeans, flowing skirts, and casual or classy dresses. These wedges are slightly lower than our Ankle Strap Wedge (about 2 inches). All of our Laro espadrilles are handmade in Spain and are equipped with vulcanized rubber soles.